The jackass who is seen in a viral video taunting a bison in Yellowstone National Park was arrested last night. 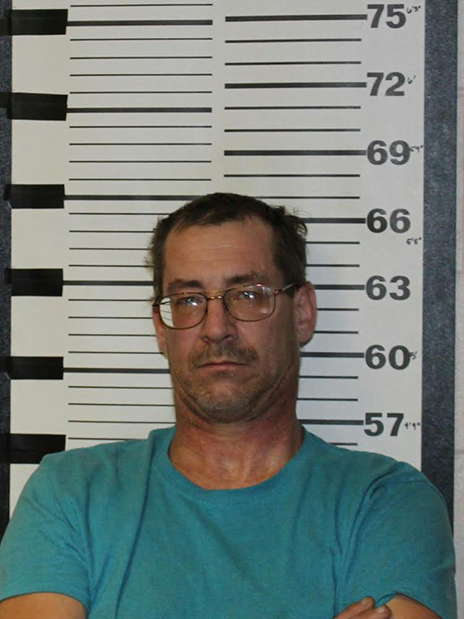 Raymond Reinke, a 55-year-old Oregon resident, was collared after officers responded to a disturbance at a hotel inside Glacier National Park in Montana. During the past week, Reinke was first arrested on July 28 for being drunk and disorderly inside Grand Teton National Park in Wyoming. Reinke, seen in the above mug shot, was later released on bond from the Teton County jail. On July 31, Reinke was cited for failure to wear a seat belt while in the passenger seat of a vehicle (National Park Service rangers reported that Reinke was argumentative and appeared intoxicated). Investigators believe that Reinke encountered the bison after being ticketed on the seat belt charge. Upon receiving visitor complaints about the animal being harassed, Yellowstone rangers located Reinke and issued him a citation requiring his appearance in U.S. District Court. When video of the bison incident surfaced, prosecutors moved to revoke Reinke’s bond, triggering his arrest yesterday evening. Reinke is scheduled to appear in court this afternoon.